Are you aware October is adopt a shelter pit month? October is really my favorite month now that I know it’s Pit Bull Awareness Month and Adopt a Shelter Dog Month. My first dog came from a puppy farm (before I really understood what that meant) ‘cause I had fallen in love with a picture of a Chow Chow puppy. Once I got to Raleigh I stared adopting shelter dogs, which has filled my life with wonderful experiences, even the tough ones. I was Labradored, fell in love with bully breeds, and found pups that needed me as much as I needed them. These cuties are still looking for their furever homes. The Wake County Animal Center (WCAC) is open seven days a week from noon until 6 p.m. Stop by and find your soul mate. To meet one of these pups pictured here, go to the WCAC Adoption Gallery for a bio and contact information to get in touch with their foster parents. 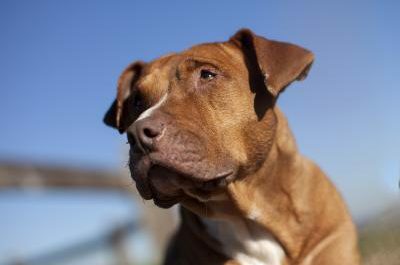 National Pit Bull Awareness Day was extended to the entire month of October in 2011. It has increased the time for education and promotion of those that have touched our hearts. Currently there are some good bully breed mixes at the WCAC that have been patiently waiting for their furever families for a very long time. We will highlight one each day in October so stop by daily.